Home / My Blog / What Is A Mandibular Advancement Device? What is a mandibular advancement device? This is a question that will likely be asked by many people dealing with sleep disordered breathing including sleep apnea, snoring, and UARS (Upper Airway Resistance Syndrome). 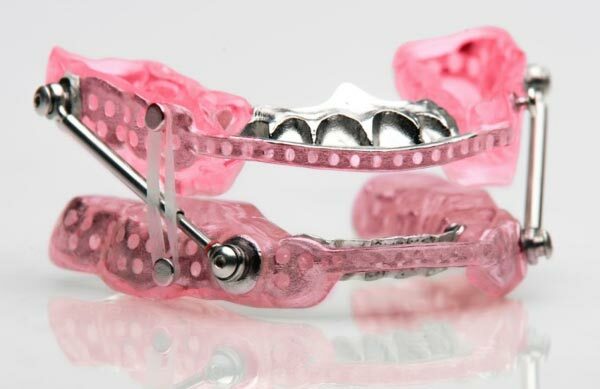 A mandibular advancement device (also sometimes known as a MAD, mandibular splint, or mandibular advancement splint) is a dental appliance designed to help alleviate the symptoms of sleep disordered breathing. These appliances can also be used to treat TMJ pain and tension, but I’ll save that aspect for another article. Most sleep disordered breathing conditions are directly linked to a restriction in the upper airway. 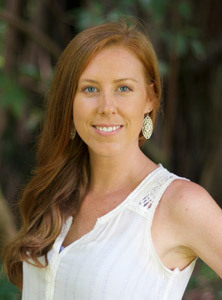 I go into more detail on this topic in this article from my Sleep Apnea Therapist site. A mandibular advancement device is designed to relieve this restriction by creating more space in the airway. The device is only worn at night. It moves the mandible (lower jaw) slightly forward, which opens up space at the back of the throat and gives the tongue more room in the mouth. This effectively increases the size of the airway, reducing restriction and decreasing the likelihood of snoring and sleep apnea. Who Can Wear A Mandibular Advancement Device? 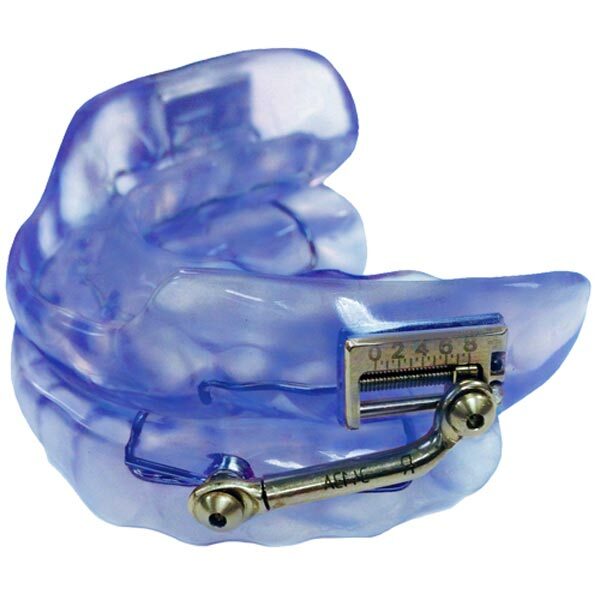 Generally, mandibular advancement devices are recommended for patients with a diagnosis of mild obstructive sleep apnea. They can also be worn by patients who have moderate or severe sleep apnea who are unable to tolerate a CPAP machine. This of course will vary depending on the individual case presentation. A wide range of mandibular advancement devices is available. These vary from inexpensive, over the counter versions that can be purchased online or from a pharmacy, to those that are custom designed and individually fitted by a dentist. I definitely don’t recommend treating any kind of sleep disordered breathing with a “Do It Yourself” approach. Obstructive sleep apnea is connected to major health risks and can be a life-threatening condition. Even something that’s as innocuous as snoring needs to be taken seriously. Snoring can be mild “primary” snoring, or it can be a warning sign of a more severe condition such as sleep apnea. This is why I always suggest that any sleep-related red flags such as snoring are regarded as being medically important and worthy of further investigation. An appropriate medical professional such as a sleep physician or a dentist specializing in sleep dentistry should be consulted to rule out sleep disordered breathing using a sleep study. For the purposes of this article, I’ll be looking at the mandibular advancement devices that are prescribed by dentists. These appliances are created using an impression of your teeth. They’re made up of an upper and a lower section, connected together by a mechanism that allows the lower section to move forward. When worn, the upper section is held in place by the upper jaw but the lower section is able to move forward, bringing the lower jaw with it. Ideally, the mandibular advancement device should only move the lower jaw forward as much as is necessary to relieve the symptoms of sleep disordered breathing. In fact, this seems to be a key element of maximizing the effectiveness of the treatment and minimizing any side effects. Minor side effects from the use of mandibular advancement devices are relatively common. These are often outweighed by the benefits of the appliance, which can be substantial given the risks and potentially severe health consequences associated with sleep disordered breathing. Side-effects can include drooling, dental pain, jaw pain, and changes in the bite. The advantage of working with a dentist experienced in the use of these appliances is that patients can be monitored and side-effects can be addressed as part of the treatment. 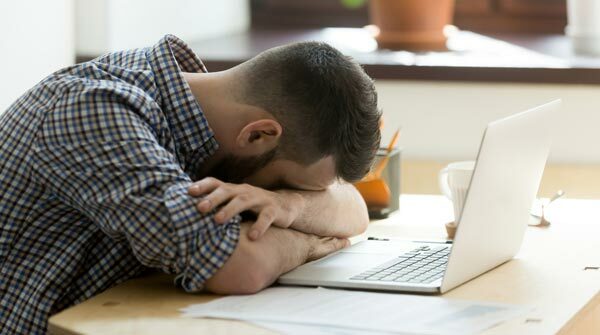 As I mentioned in this article on my Sleep Apnea Therapist site, CPAP therapy doesn’t actually treat the underlying cause of sleep disordered breathing. Instead, it’s easing the symptoms. In the same way, a mandibular advancement device will address and relieve the symptoms related to sleep disordered breathing but doesn’t really resolve the root cause of the condition. Sleep disordered breathing is an airway-related issue. Moving the lower jaw forward using a dental appliance temporarily opens the airway and eases the restriction, as does delivering a constant supply of pressurized air via a CPAP machine. But in order to specifically address and treat the airway issue, other approaches should be considered. These may range from surgery to orthodontic expansion of the jaws. Oral myofunctional exercises have been proven by research to reduce the symptoms of obstructive sleep apnea. In my opinion myofunctional therapy should be part of any multidisciplinary approach to managing obstructive sleep apnea and sleep disordered breathing.